So you have a spill on the carpet and you need a good carpet spot cleaner. I have a solution for you. Call Chem-Dry of Tampa FL and get yourself a bottle of the World Famous Spot Remover. Chem-Dry's carbonated carpet cleaner that removes most water based spots and spills. It's designed to easily breakdown soils and move spots to the surface where it can be easily toweled off. Ever clean up a carpet spot with an over the counter spot remover like Spot Shot or Resolve? 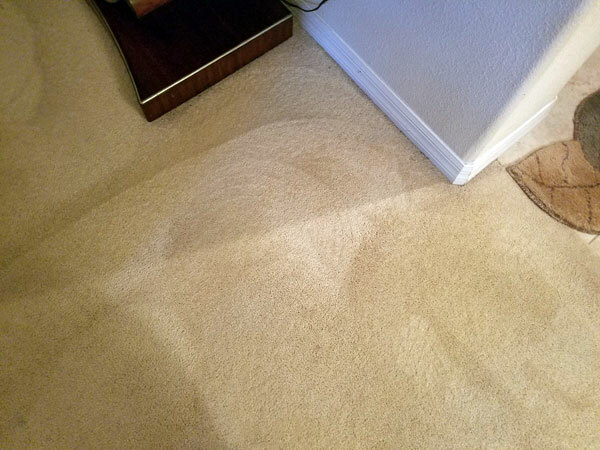 Most of us have used these carpet spot cleaners before. They remove the initial spot pretty good, but few days later a new spot begins to take shape right where we got rid of the last one. That new spot is formed by dirt attracting residues left behind from the carpet spot cleaner. Chem-Dry's World Famous Spot Remover leaves no dirt attracting residues behind. 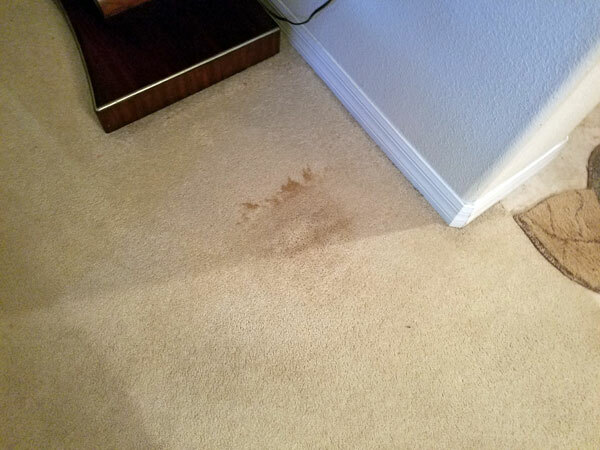 I have been cleaning carpets in Tampa FL for some time and I often find residue spots in customers carpets. They say they cleaned a up a mess and few days later it came back. I always ask them what carpet spot cleaner they used to get rid of it. In most cases it's one of the 2 cleaners I mentioned before. I tell them they are better off using carbonated water to clean up carpet messes then using a cleaner that's going to leave a sticky residue behind. The spot in the picture above was from a drink spill. It was easily removed with Chem-Dry's World Famous Spot Remover and a towel. I guaranteed my customer that spot was gone for good. If you looking for a carpet spot cleaner in Tampa FL call Chem-Dry of Tampa.